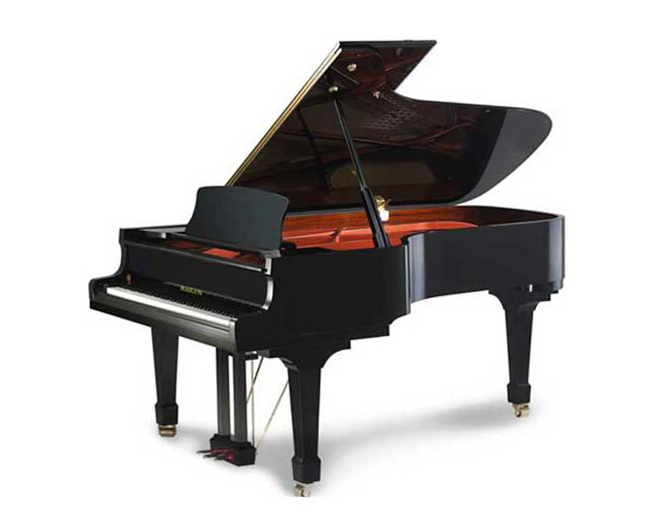 The 7’2" Hailun HG-218 Semi-Concert Grand attracts the attention of performers and listeners alike. Engineer Stephan Paulello designed its powerful yet delicate tonal range. Extremely responsive to the touch, the HG-218 is ideal for any level of performance. Its lines are elegant by design. The HG 218 beautifies any home surroundings while its sturdy construction makes it the ideal institutional, stage or studio grand piano. Hailun grand pianos come in ebony polish with Birdseye maple trim. Schedule your personal Hailun Piano Showing today.